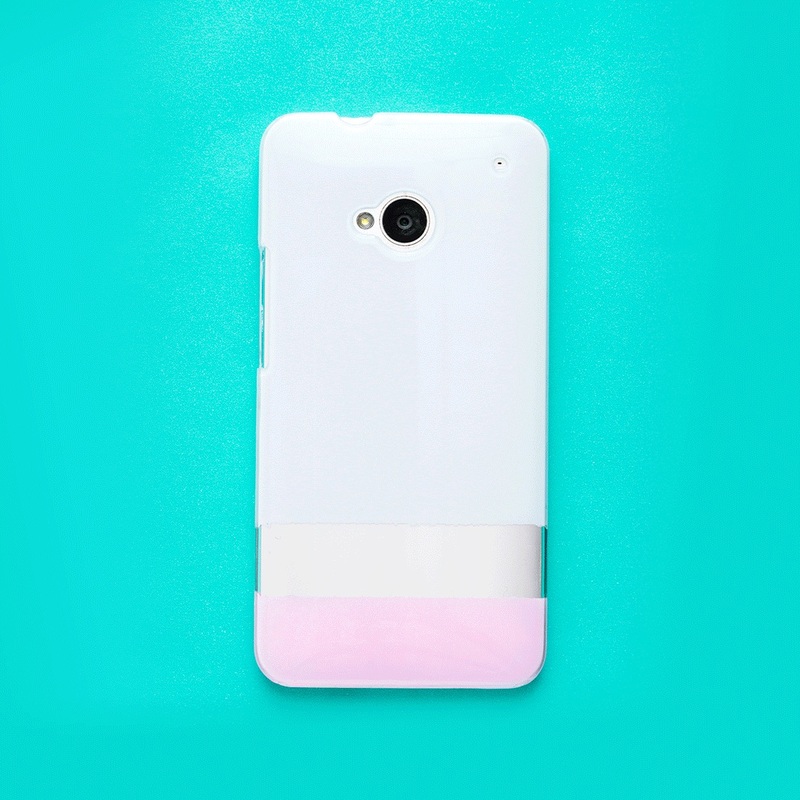 Face it, we all have the urge to change our phone cases like we change nail polish colors, but affordable *and* cute cases can be hard to come by (especially for those of us without iPhones!). 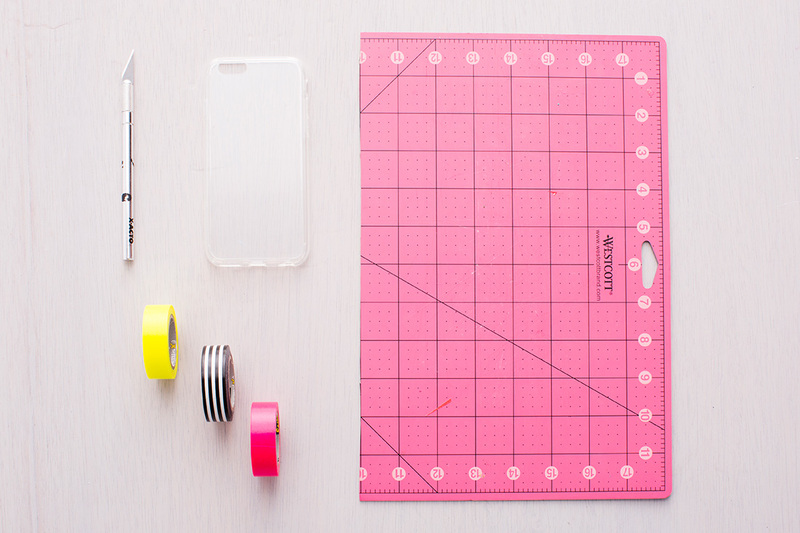 When you’re in need of a phone case facelift, look no further than these DIYs. 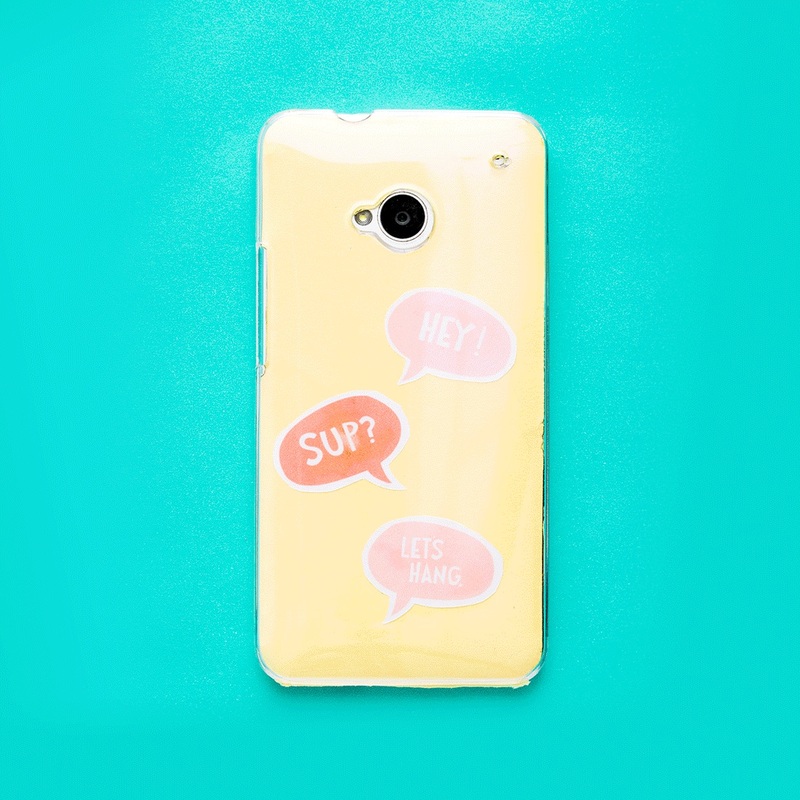 We’re bringing you our six favorite ways to decorate clear phone cases, plus printable case templates to make your own designs. Here’s another bonus — each method takes less than five minutes! 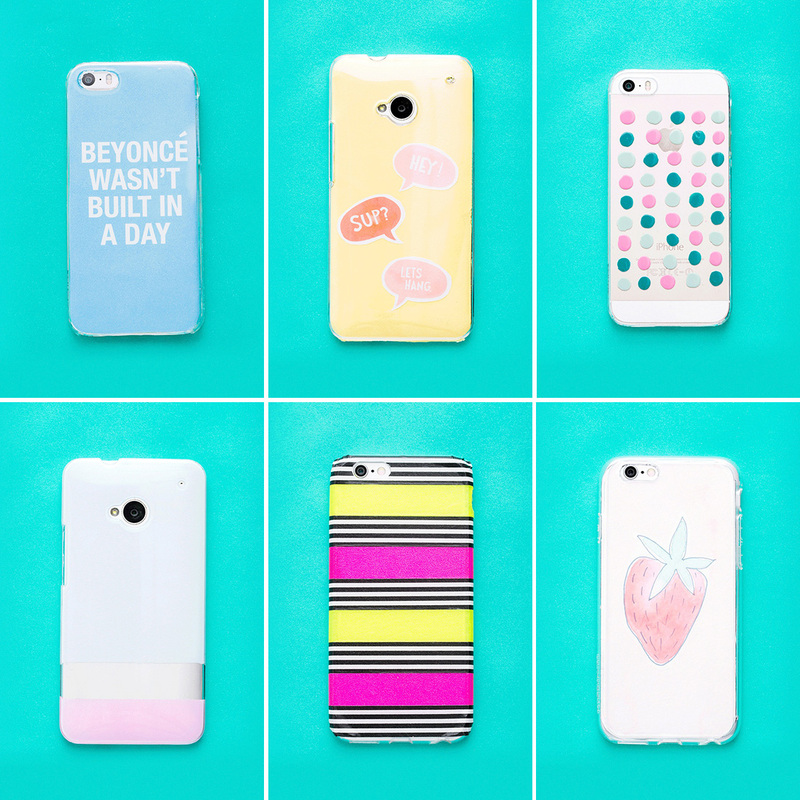 So keep calm and scroll on for some major case revamps. 1. Download and print out our iPhone 5S, iPhone 6 or HTC One templates here. 2. Cut out each template with an Xacto knife on a cutting mat. 3. Place inside the phone case. Voila! 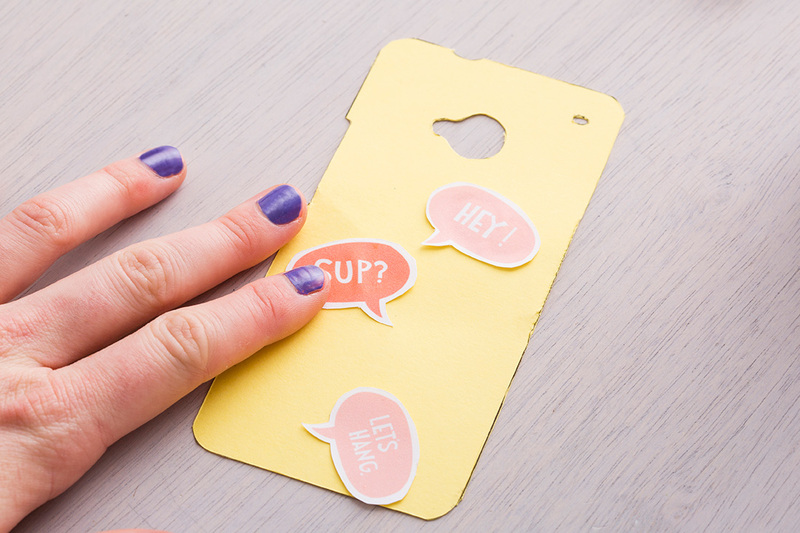 Let’s kick it off with the smartest way to decorate your phone case for those of you with accessory ADD — printables! 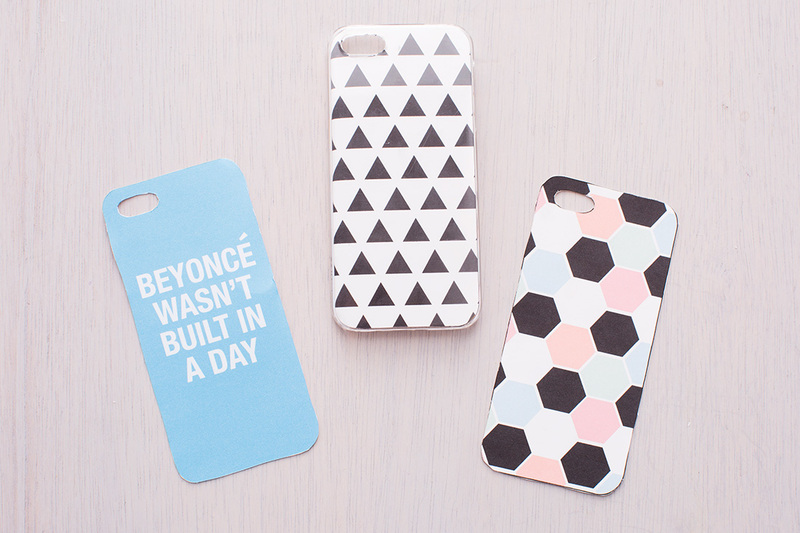 Download our iPhone 5S, iPhone 6 and HTC One templates here, then print them out on card stock. Cut those babies out with an X-acto knife on a cutting mat. Take special care when you’re cutting out the camera hole, especially if your blade is a touch dull. 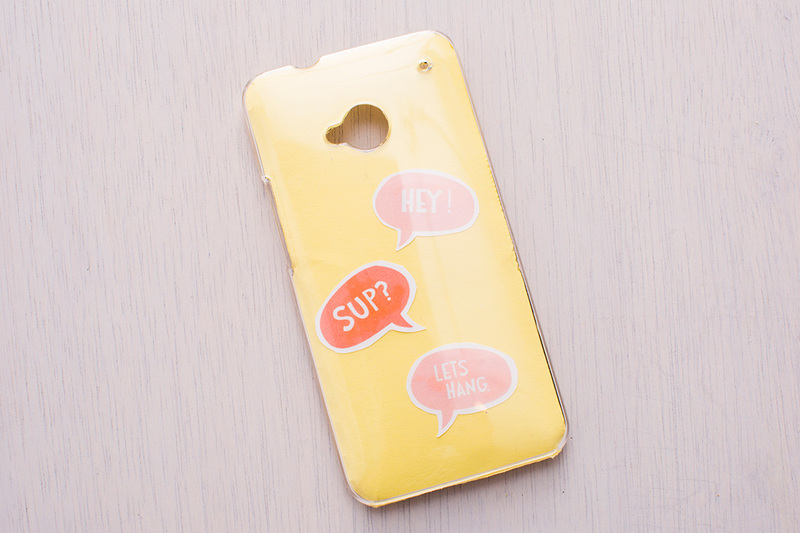 Place your printable in the phone case. You’re done! 1. 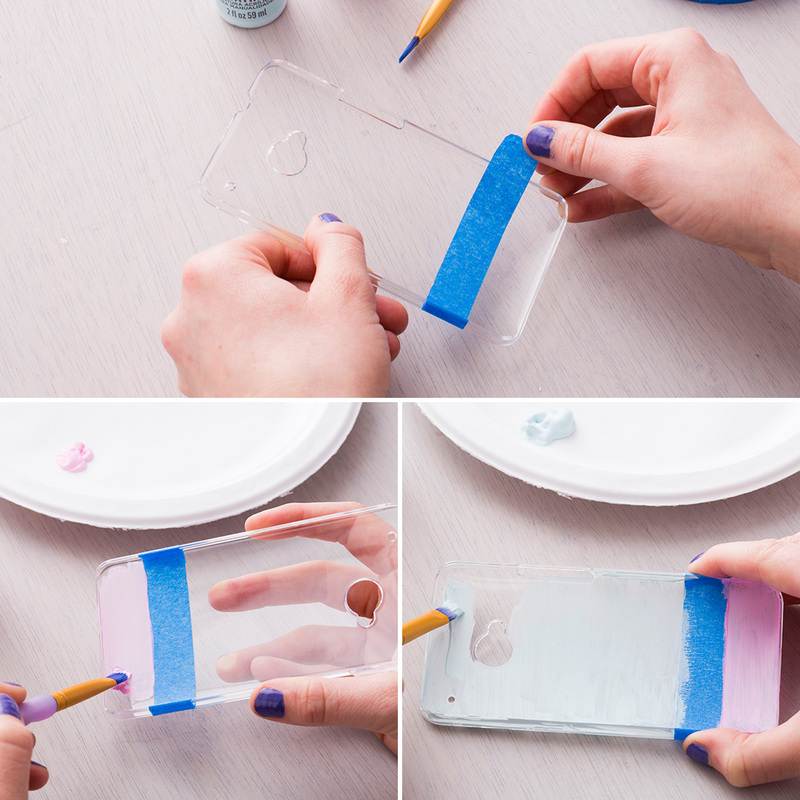 Add a strip of tape to the inside of your clear phone case. 2. 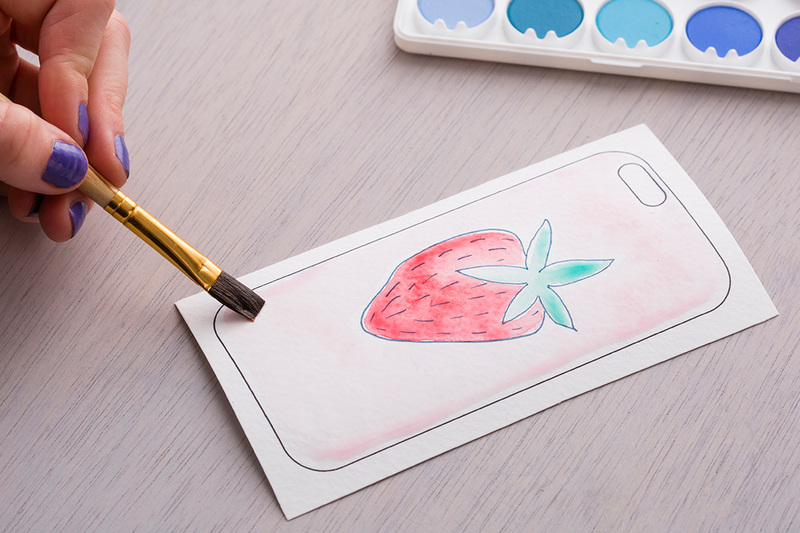 Using acrylic paint, paint one color below the tape and one color above on the inside of the phone case (not the outside!). 3. Let dry and paint one more coat so the paint is opaque. 4. Clean up the sides and openings with your finger or a Q-tip to ensure there is no paint on the outside of the case. 5. Once the paint is completely dry, take off the strip of tape. All done! The secret trick to this DIY? 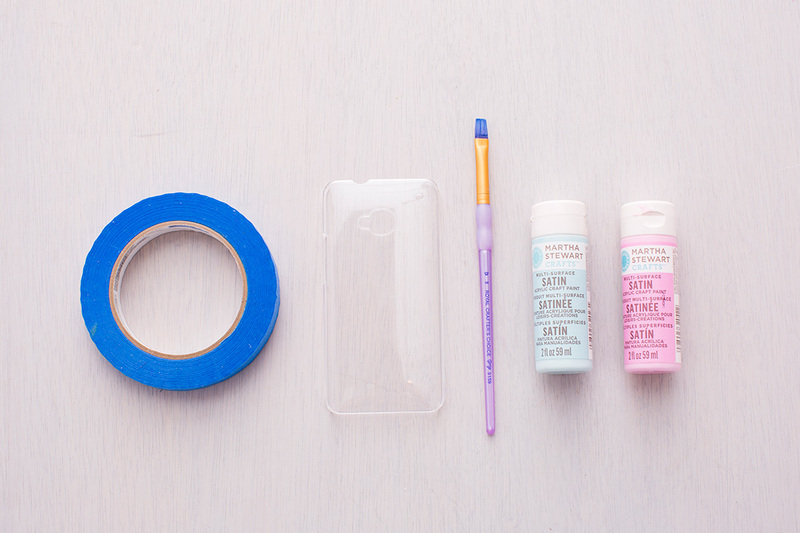 Paint the *inside* of the phone case to ensure the paint won’t scrape off over time. If we painted the outside of the case, we’d have to paint over it with a sealant or Mod Podge. Using acrylic paint, paint one color below the tape and one color above. Let dry, then paint one more coat so that the paint is opaque. Touch up the edges and openings with your finger or a Q-tip to ensure that no paint gets on the outside of the phone. When completely dry, peel off the tape. That’s it! 1. 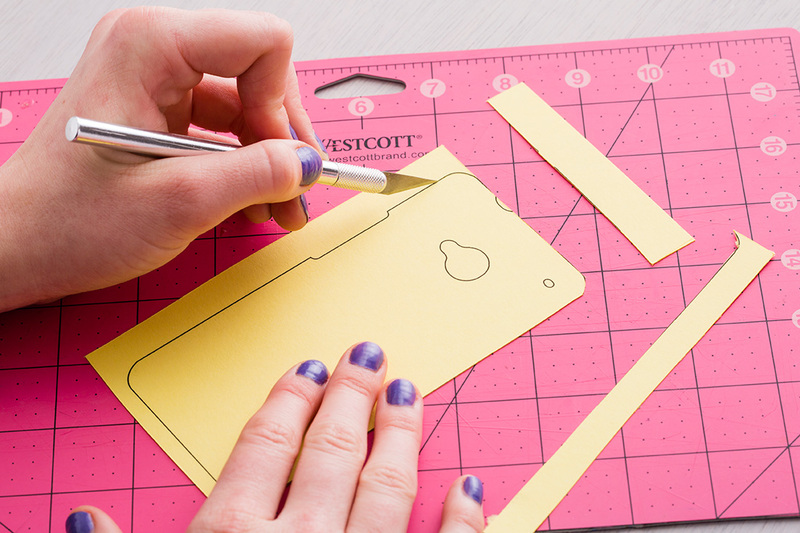 Download our phone case template and print the last page on colored paper or card stock. 2. 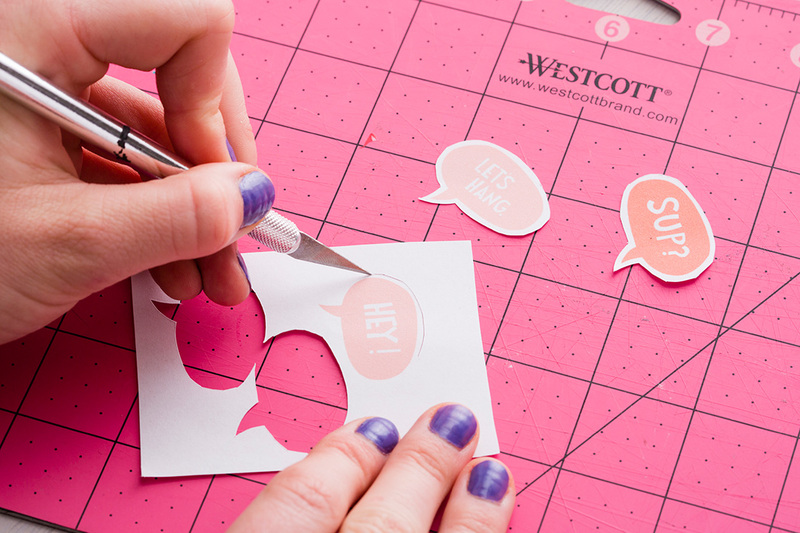 Using an X-acto knife, cut out your template. 3. Cut out your printed illustrations or clip art. 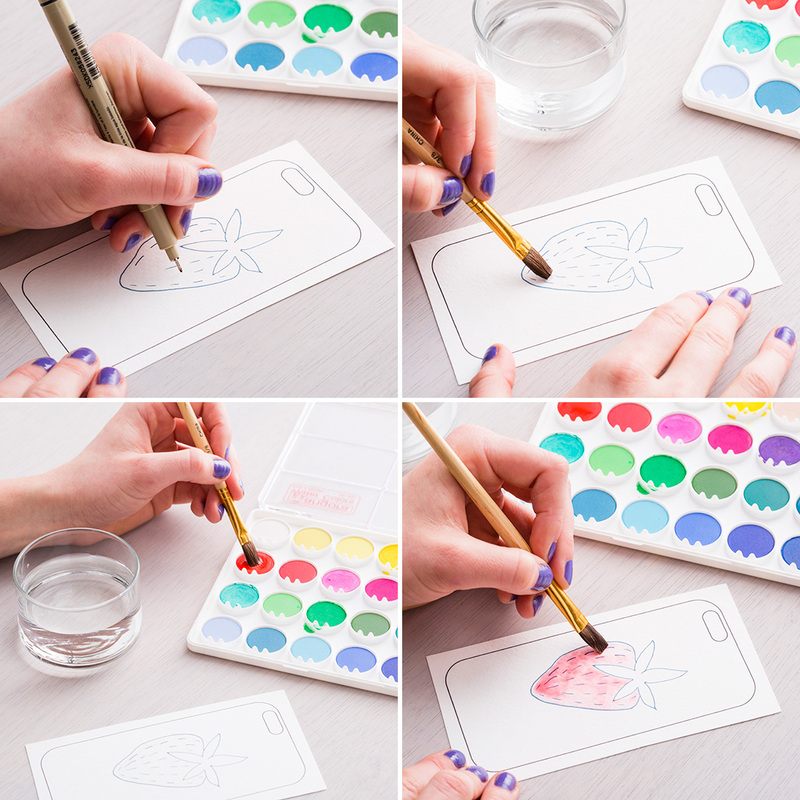 Paint glue onto the back of these illustrations, then glue them to your template. 4. 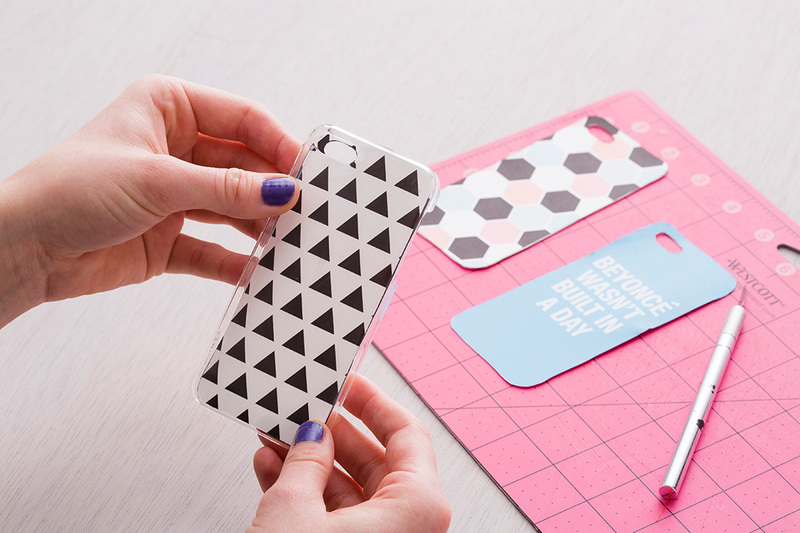 Once dry, fit the template into your phone case. 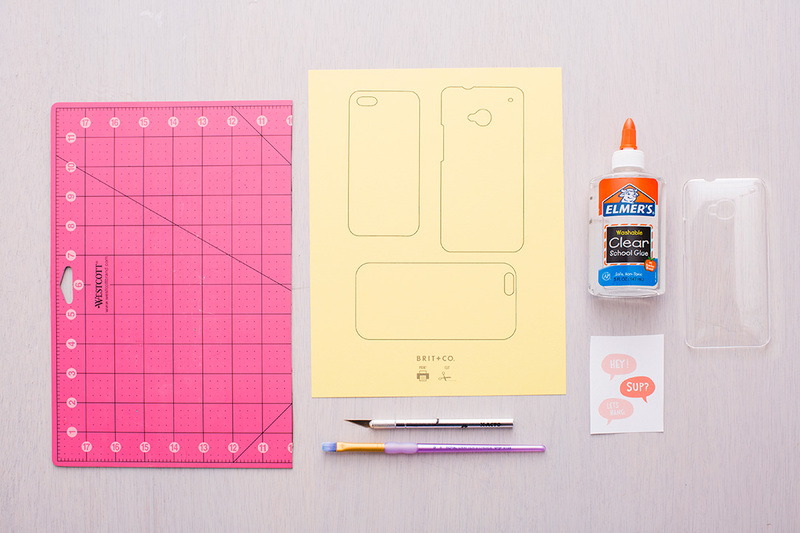 First up, print out the last page of our phone case template onto colored card stock or paper. Cut out the template using an X-acto knife, paying special care to the camera and mic holes. Cut out your illustrations in the same fashion. 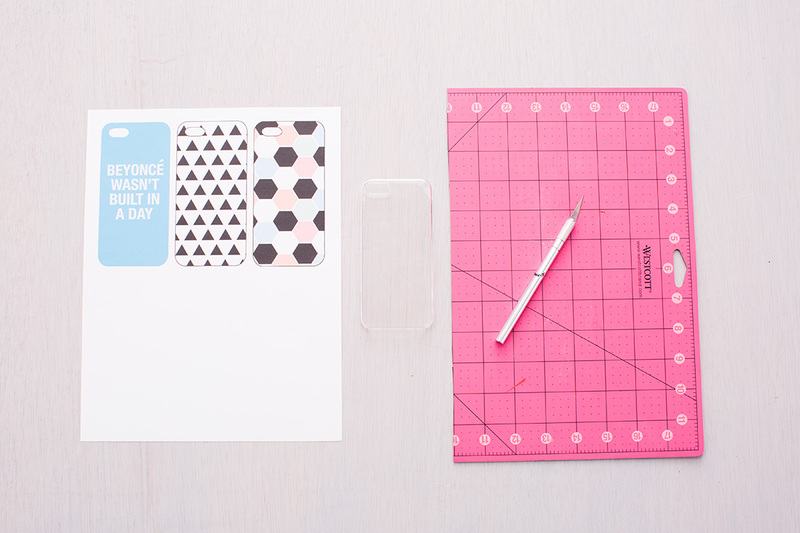 We used our design guru Rosee’s adorable illustrations (download them here). 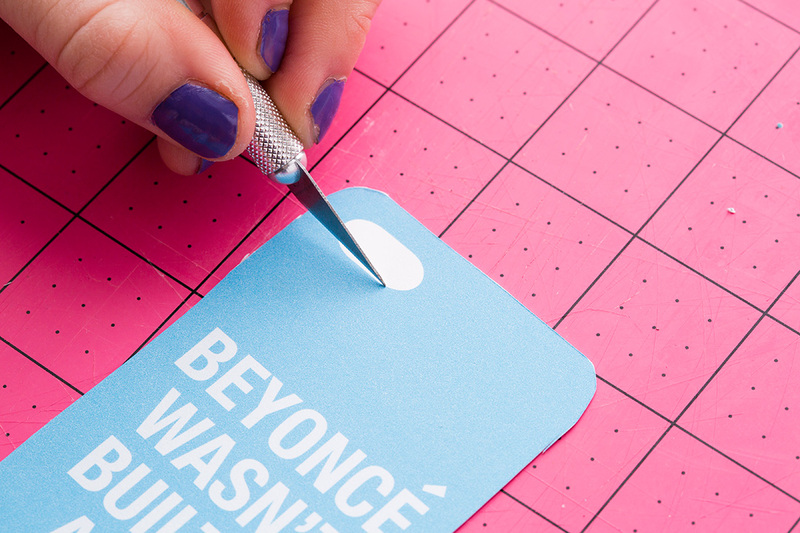 Paint a dollop of school glue onto the back of each cut-out, then press onto your template. Let dry. Seriously, it doesn’t get any easier than this. The possibilities really are endless…. 1. 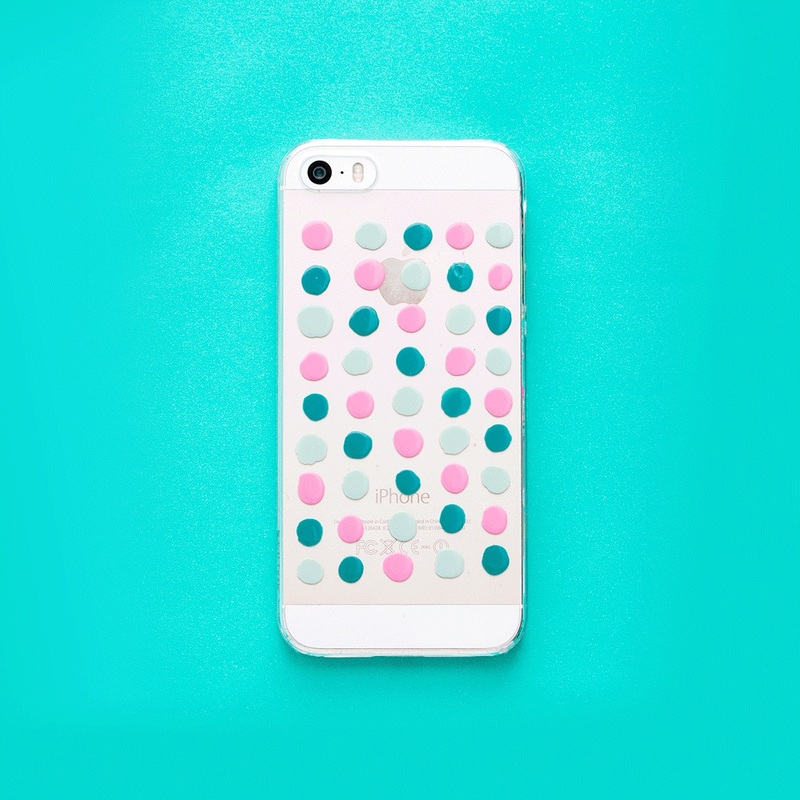 Alternating colors, paint equal-sized dots the size of a thumbtack on the phone case. 2. Repeat until most of the phone is covered, then let dry. That’s it! We thought we’d take a stab at decorating the case with nail polish. Since it can be hard to control the nail polish brush, we stuck with a simple dot pattern. 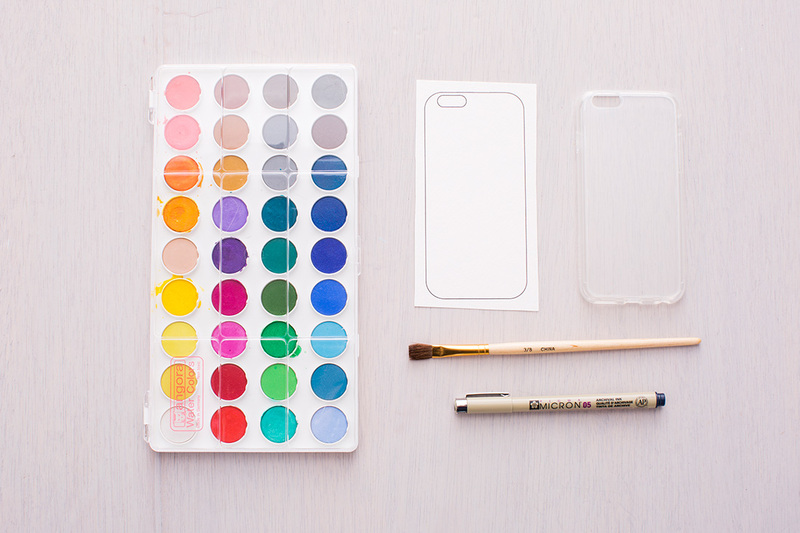 Alternating colors, paint dots the size of a thumbtack on the phone case. 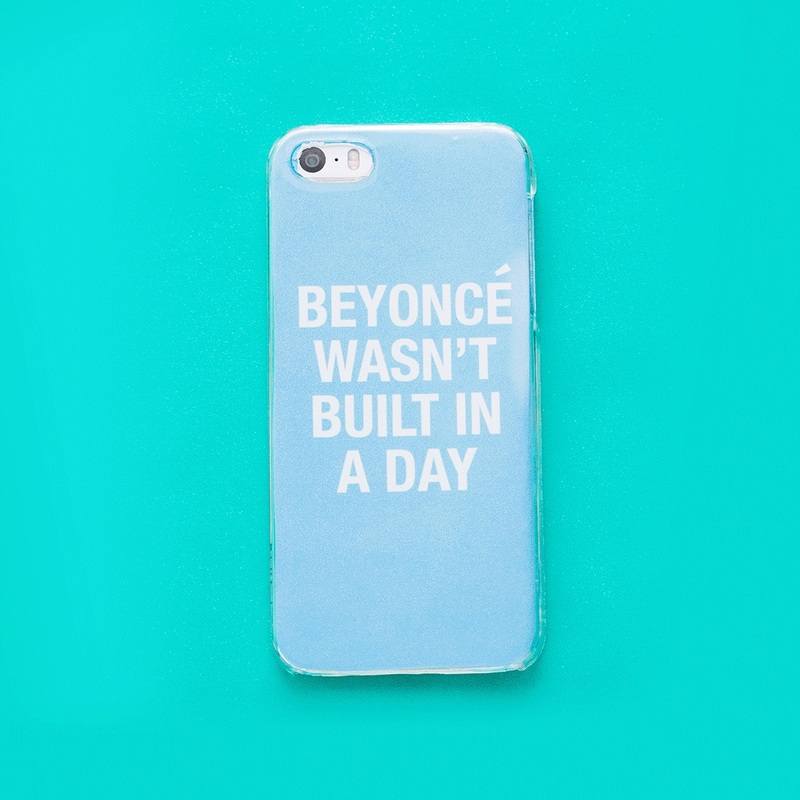 Repeat until you’ve covered the bulk of the phone case. Once you finish, let the nail polish dry — give it a good 30 minutes. It kinda looks like candy buttons on paper tape, huh? 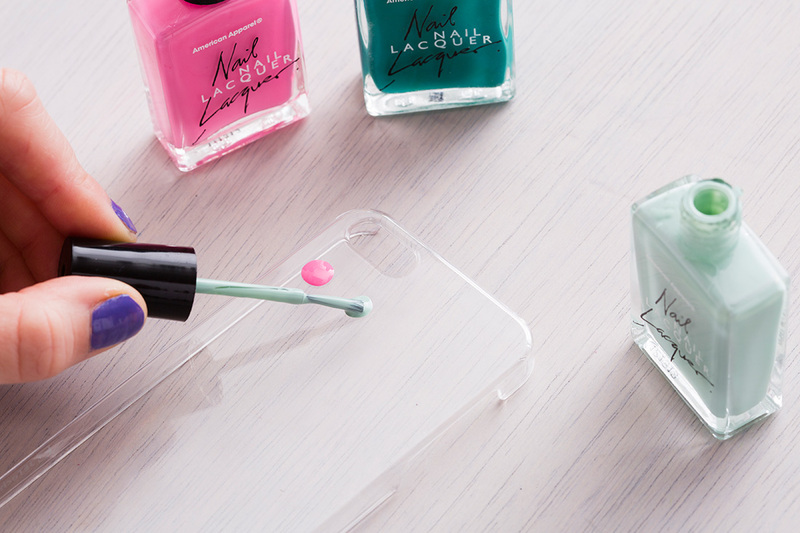 Now you have a new way to utilize all that extra-old nail polish at the bottom of your drawer. 1. 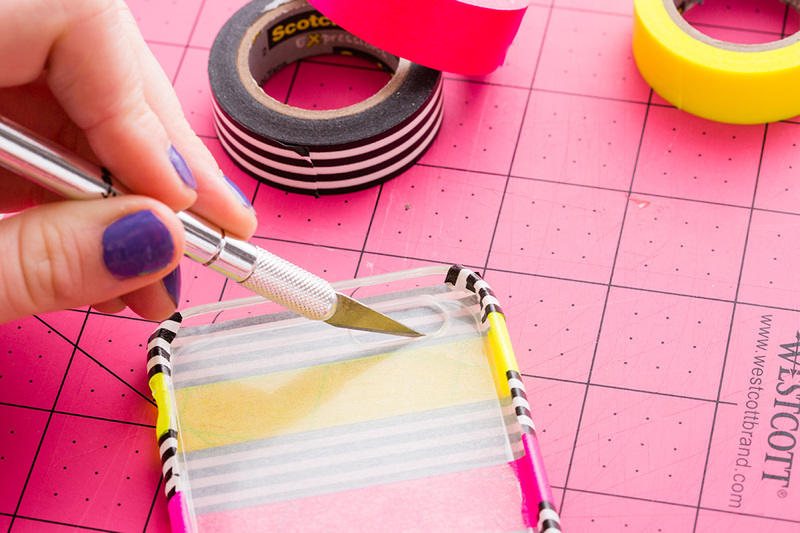 Starting at the bottom of your phone case, cover the outside with washi tape, alternating patterns. 2. 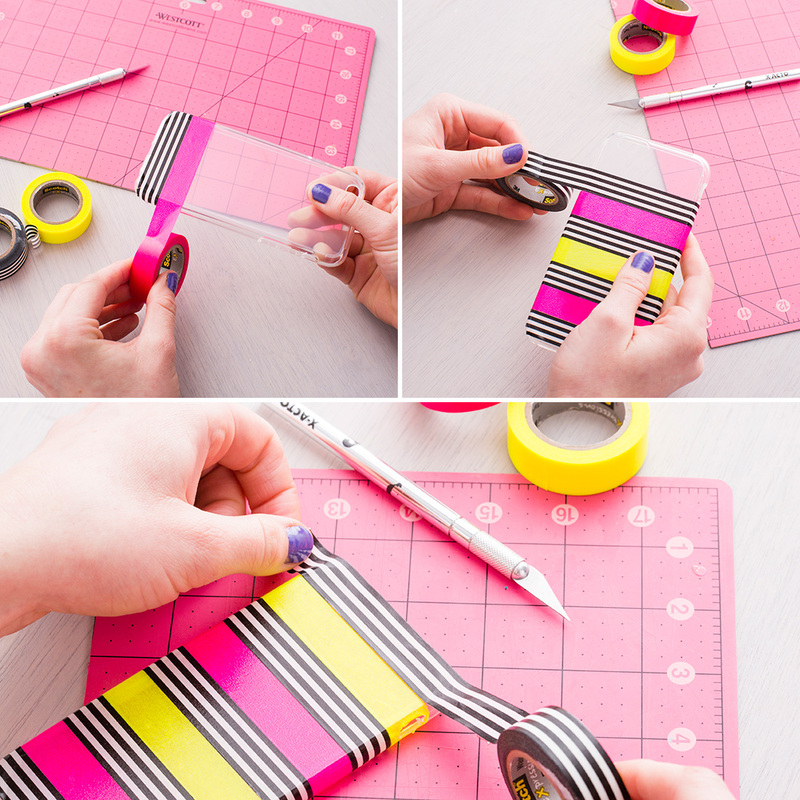 When you’ve covered the entire case, either trim the edges with an X-acto knife or fold in the extra tape. 3. Carefully slice through the camera hole with an X-acto knife. Voila! 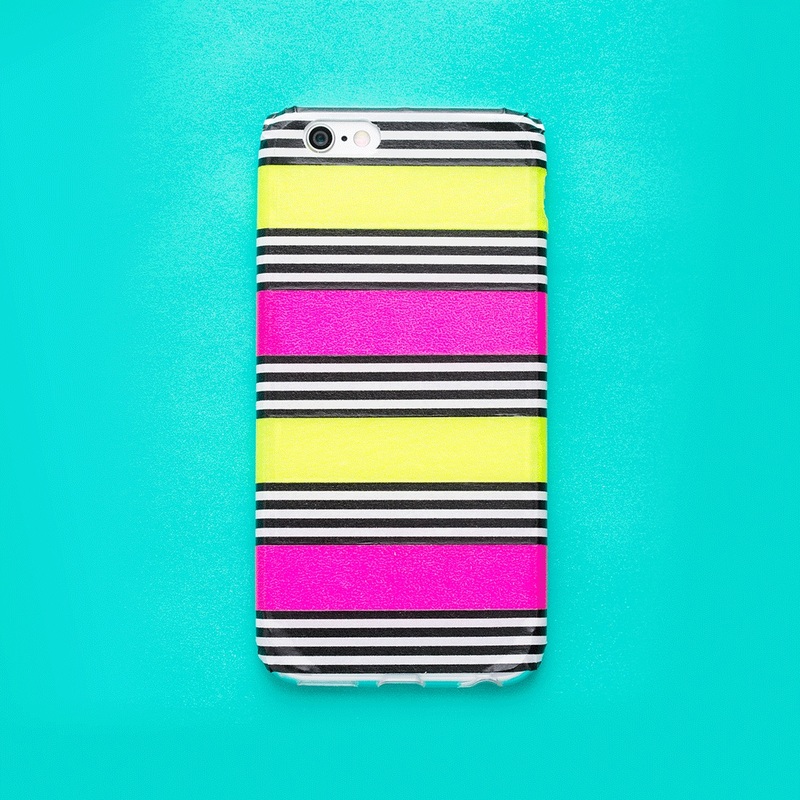 Starting at the bottom of your phone, make horizontal stripes with your washi tape, alternating patterns. Be sure to lay them straight with no bubbles. Once you’ve covered your entire case, you can either trim the edges with an Xacto knife or fold the tape ends under. Carefully cut around the camera hole with an X-acto knife. Bam! Washi tape, once again, FTW. 1. 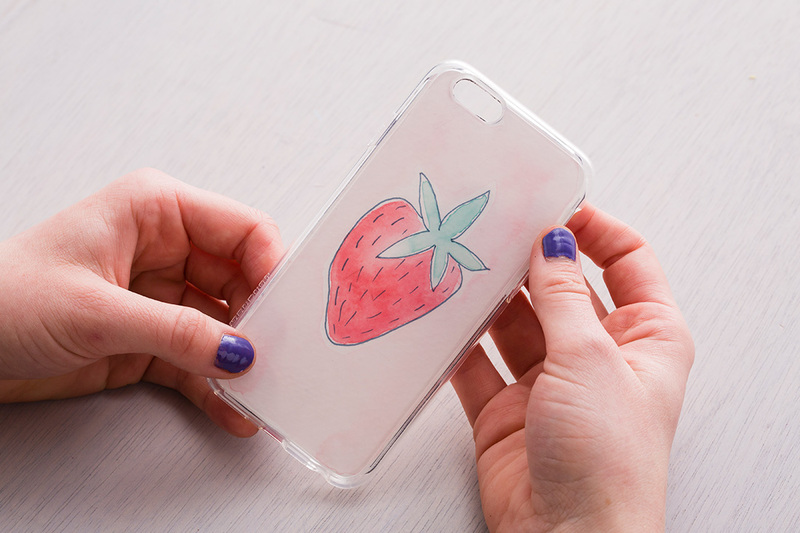 Download our phone case template here and print it on watercolor paper. 2. Using a waterproof pen, draw a design on the template. 3. “Color” in your design using a wet, paint-free brush first. Then carefully add paint to your brush and paint over the same area. Let dry. 4. 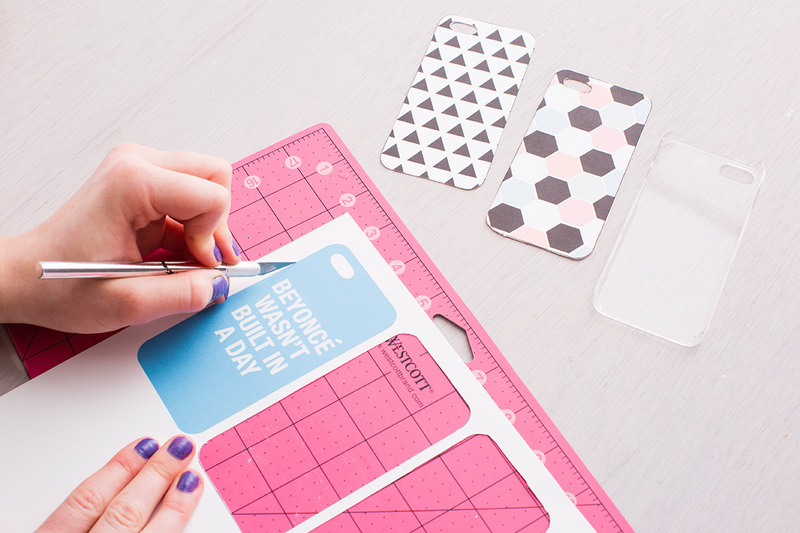 Once dry, cut out your template and fit it into the phone case. All done. 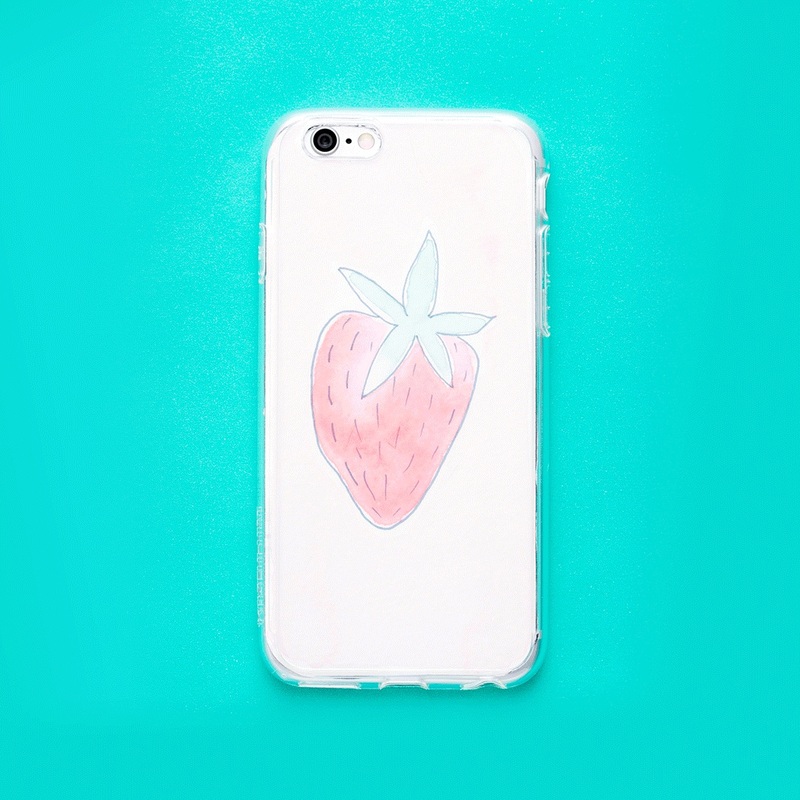 First up — download our phone case template here and print it on watercolor paper. Using a waterproof pen (we used a Micron), draw your design onto the template. Then “color” in your design using a wet, paint-free brush first. Carefully add paint to your brush and paint over the same area. Repeat until you’ve painted the entire template, then let dry. 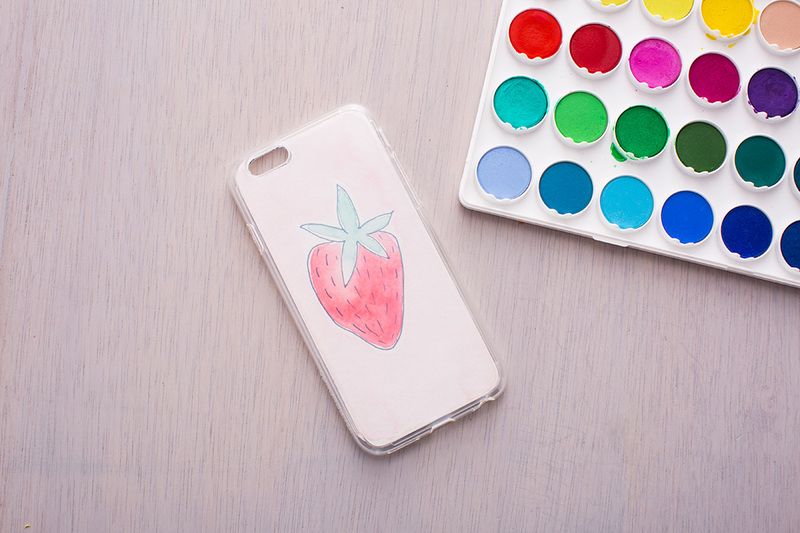 Once the watercolor is dry, cut out your template and fit it into the phone case. What’s your favorite DIY technique we used? Share with us in the comments below! Waspadai 7 gejala awal stroke ini! Lakukan 7 Hal ini jika ingin suami makin lengket!